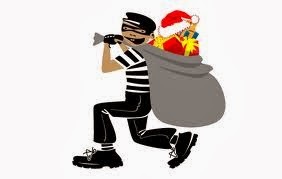 You may not be aware of this fact but the truth is that the holiday season is prime time for burglars. While you may take some time off to practice good will towards your fellow man, they do not. Thieves are opportunists and what better opportunity could there be than to break into a home that may be chock full of goodies awaiting delivery by Saint Nick himself? DVR’s, camcorders, digital cameras, expensive cell phones and more are just waiting to be had and this is the time of year to take them from distracted homeowners. Don’t be caught off-guard this holiday season. Use good common sense and pay attention to your surroundings. If you see strangers that don’t seem to belong or are behaving suspiciously keep a close eye on them. Burglars will often study a neighborhood before making their move and this is usually done during daylight hours. Here are some common sense steps that you can take to help avoid becoming one of the many yuletide burglary statistics. Security Systems Work – If you don’t have a security system installed consider getting one. If you do have one, use it! It’s surprising just how many homeowners that have systems installed become a victim because they simply don’t use it. Do the Neighborly Thing – Keep an eye out for your neighbors and ask them to do the same for you. Studies show that those of us that are on good terms with their neighbors are less likely to be the victim of a burglary. What better time of year than to be extra nice to others in our immediate community? Your Bedroom is NOT a Bank – The first place that a burglar heads for once inside is the master bedroom. They are fully aware that this is where many folks keep jewelry, valuables and even cash. Keep your valuables in a safe and secure place preferably not at home but if you must the bedroom is the last place you should keep them. Don’t Forget the Garage – Entering the home through an open or unsecured garage door is a common method for burglars. Treat your garage door the same as your front door; keep it locked at all times. Let there be Light – Aside from observant people light is a burglar’s #1 enemy. They don’t want to be observed and the darker it is the better. Install outdoor motion lights around your home if you don’t have them already. They are inexpensive and are excellent deterrents. Burglars Don’t Take “Days Off” – Believe it or not many home invasions DO occur during the daytime. Burglars know that you are most likely working or otherwise occupied during the day and they will take full advantage of this fact. Take steps to appear home even when you’re not. Something as simple as leaving a radio on when you are gone can trick the smartest thief. Landscaping Counts – This is something that many people fail to consider. Be sure that the property immediately surrounding your home is not providing the would be burglar with a good place to hide. Tall shrubs and trees directly in front of windows or next to entry doors is not a good idea. This not only provides an easy place to enter your home but it places you in danger when you return. Remember, YOU have a key and HE knows it. To be honest I can think of a hundred or more tips to help protect your home from uninvited visitors but the bottom line is this: Take a few moments to look at your home from the outside. Think to yourself “If I were a burglar how would I try to break into this home”? Then it’s a simple matter of making some common sense changes.